The development of a new £25 million leisure centre has been completed ahead of schedule and within budget. East Riding Leisure Bridlington brings together wet and dry sports and leisure activities under one roof and will provide accessible health and fitness facilities to serve the varying needs of local residents and visitors to the town. The project included the demolition of the original building as well as the construction of the new complex. 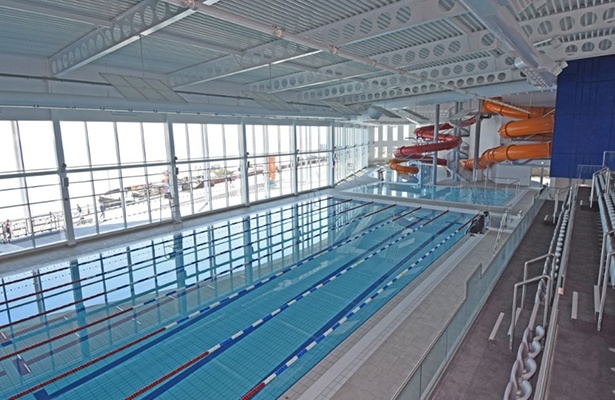 FT Leisure designed, supplied and installed the water treatment and filtration systems for the 25-metre, six-lane swimming pool, a 13m x 7m learner pool with moveable floor, a freeform pool with water features and a Splash Zone with two interactive water slides. The facility also includes a health suite with a steam room, sauna, Jacuzzi, showers and foot spa, a 70-station fitness studio, an exercise studio, a spinning studio, a six-court sports hall, two squash courts, a feature climbing wall and spaces for dance and yoga classes. The building also has a café with access for both centre users and non-users. The new leisure centre has been built on the ageing and outdated Leisure World site and has been partly funded by Sport England and the Coastal Community Fund which awarded East Riding of Yorkshire Council £2.1m for the project. The main contractor was BAM, the architects were East Riding of Yorkshire Council and consultancy was by Sheerwater.